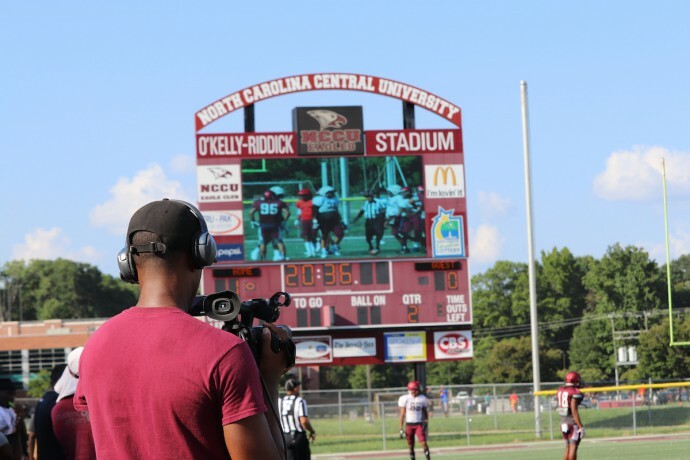 Like many universities across the country, the athletics department at North Carolina Central University (NCCU) has experienced some growing pains over the last few years as its video production requirements have evolved. 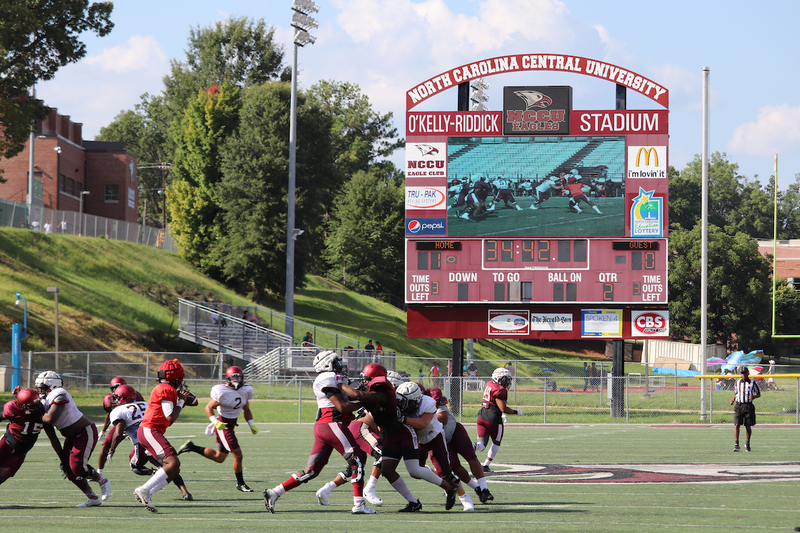 Earlier this summer, NCCU partnered with Jack Guthrey of Marshall Graphics Systems to examine whether a cutting-edge NDI® video network solution from NewTek could help them solve the space and budget limitations they faced within their football stadium. 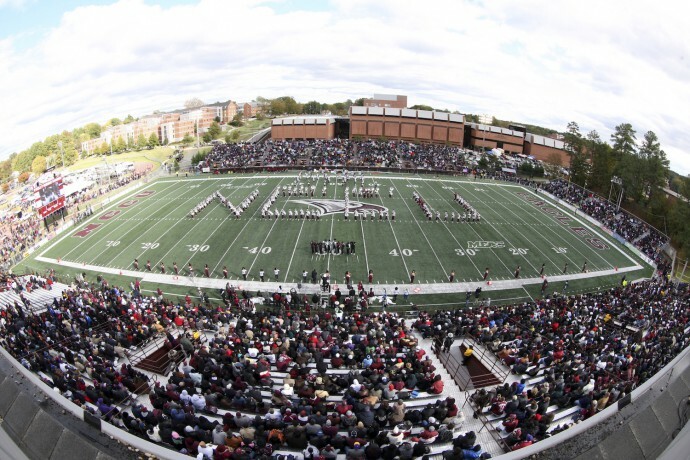 Guthrey worked with Kyle Serba, NCCU Senior Associate Athletics Director for Strategic Communications, and Jonathan Duren, NCCU Broadcast Media Coordinator, to put NDI through a live latency test on July 7 to see if it could, in fact, meet their unique needs and performance requirements. The NDI solution worked so well that the University has decided to use it live when the Eagles kick off their 2017 football season on September 9 at O’Kelly-Riddick Stadium. Up until the NDI solution was implemented, a NewTek TriCaster Studio was used to produce football game content for its video board, which had worked well — except for the fact it took up precious space in its small press box. Since 2010, football video was produced from a small area that was once the visiting radio booth. Meanwhile, in 2015 the university’s basketball and volleyball arena was upgraded with its own video board and control room outfitted with a NewTek TriCaster 8000 and 3Play 440 instant replay system. The McDougald- McLendon Arena was upgraded in 2015 with a new video board. The upgrades to the McDougald-McLendon Arena made it apparent that it was time to find a solution for the football stadium, but a renovation to add space for its own control room was out of the question. Instead, Serba says they thought NewTek’s innovative NDI technology could possibly solve their challenges by allowing them to remotely manage football video from their existing control room in the basketball arena. With NDI, they are able to run four camera inputs from the football stadium through a TriCaster 460 with Advanced Edition and send them approximately 600 feet away to be managed from the control room at the McDougald-McLendon Arena. From the control room, video is sent immediately out to the football video board and streamed for fans to watch online. 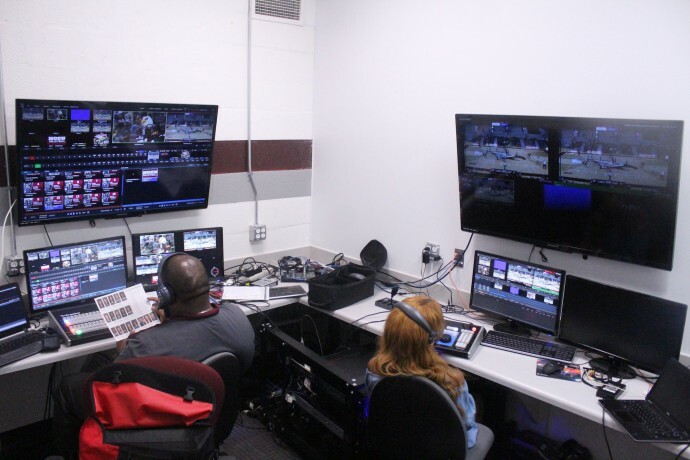 The control room at NCCU was recently upgraded with a NewTek TriCaster 8000 and a 3Play 440. Prior to its implementation, Guthrey and the NCCU team were unsure whether NDI would be able to transmit video quickly enough over such a distance. “The fear was that there would be a large delay so things that were happening on the field weren’t immediately on the video board,” Serba said. To test it out, they created a loop from a camera in the football stadium pointed at the video board and connected to the TriCaster 460, which was transmitted to the control room and back out to the football video board. 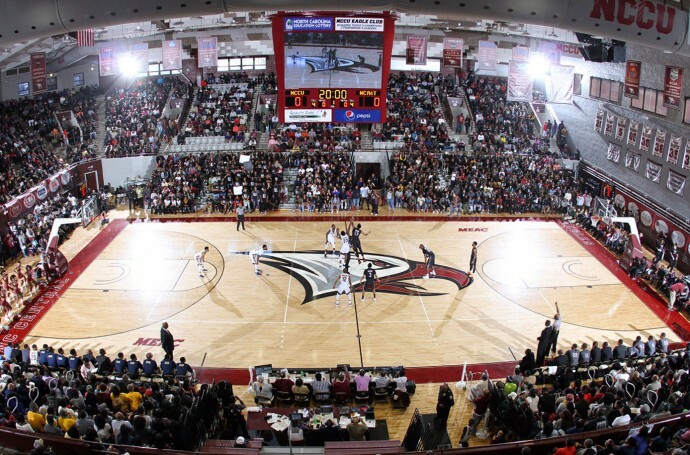 On- field camera signal routed back to the control room in the NCCU basketball arena to the TriCaster 460 was fed live to the scoreboard display via NDI instantaneously. They found little to no delay and Guthrey says everyone was impressed by how instant it was. 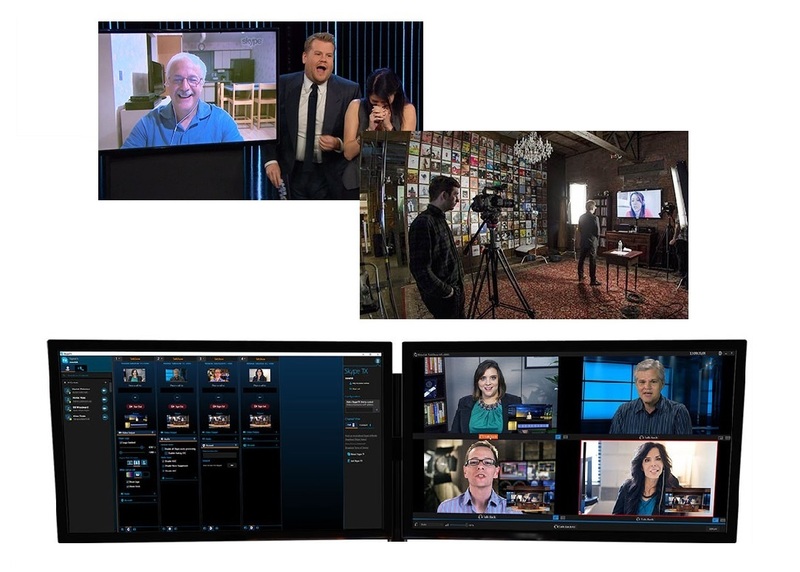 “Not only did all the NDI connections just work, they all felt local to the TriCaster,” he said. Serba says this not only gave them back the use of their football press box but also opens up many other opportunities to provide video production across the campus. For example, a theater production in an auditorium could have a similar setup with a TriCaster 460 that is remotely managed from the arena control room. In 2016, the NCCU football team won its third straight Mid- Eastern Athletic Conference title. Located in Durham, North Carolina, NCCU was founded in 1909 and became the first public liberal arts institution for African Americans in the nation. The University is now a master’s comprehensive institution that offers bachelor’s and master’s degrees, a Juris Doctor and a Ph.D. in Integrated Biosciences to a diverse student population. In 2016, the NCCU football team won its third straight Mid-Eastern Athletic Conference title.